Battlefield 1’s latest expansion is available now for premium pass holders. Turning Tides opens up two new fronts, taking the action to Gallipoli and the North Sea. Here are some of the best war games on PC. The expansion brings a new operation and a new game mode, as well as maps, weapons, vehicles, and classes, to the game. The operation will feature the two Gallipoli maps, Cape Helles and Achi Baba. The two other new maps, Heligoland Bight and Zeebrugge, both focus on the North Sea, taking the action to Germany and Belgium respectively. Elsewhere in the expansion, there are six new weapons, including a naval cutlass and a grappling hook. There’s also a new L-Class Destroyer to help you rule the waves, and a new Airship too. Finally, you’ll be able to play as the British Empire’s Royal Marines, and as the new infiltrator elite class, capable of deploying a mobile spawn and able to constantly sprint around the map. 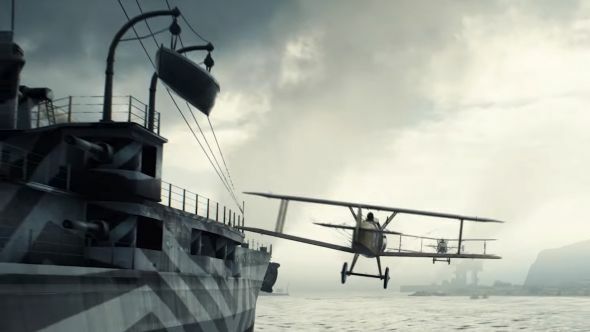 You can check out the Turning Tides expansion’s trailer above. Premium Pass members should be able to access it now, but other players will have to wait two weeks to get their access.